Posted on January 31, 2018 by Barbara H.
We’ve had two family outings this month, whereas we normally might have only a handful a year, so that might be one thing that livened up January. One Saturday we went to the Ripley’s Mirror Maze in Gatlinburg and then a favorite Mexican food restaurant. Last Saturday we went to the Chocolatefest in Knoxville – or, as Timothy put it, the “chocolate party.” 🙂 The event itself was a disappointment, though. I had envisioned a large room with rows and rows of chocolate-themed items. There were a few tables of chocolate items, but the others were mainly jewelry and clothes with assorted other odds and ends. There was one section you could only go into if you bought a “tasting ticket” for $20, and that’s evidently where most of the chocolate was. If you went there you got a box or bag you could fill up with goodies. But I don’t know if we could have collected enough to have made it worth $20 times four people. We didn’t think until afterwards that we could have had one of us go there and then we all could have shared the loot. 🙂 But I did bring home a few chocolate purchases, and Timothy enjoyed some “monster blue” ice cream (and showing me his blue tongue and teeth) and got to do a little activity at a kid’s table, and we enjoyed looking at the cake-decorating entries. And we went to one of his favorite restaurants afterward, so we had fun together even if the event itself wasn’t the best. Jim and I have also done a bit of furniture-shopping. The padding on our couch and loveseat arms has gotten so thin we can feel the wood underneath when we lean against them, and the fabric is worn, with a few holes starting to show. We spent one Saturday looking at a few places and found one set that might work. There’s at least one more place I’d like to go. We found one place that had the Magnolia Home furniture. I loved the style, but they didn’t seem to have a combination that fit what we needed. It also might have been more expensive, but I don’t think I looked at prices much since I didn’t see anything I thought would work. We’d like to find a sofa, loveseat, recliner combination, or at least a sofa and loveseat, and then we can buy a recliner individually. We saw a lot of sets with, instead of a recliner, a huge oversized chair and footstool. I don’t think we’d have the space for it, and besides, some of the family like the reclining function. Speaking of furniture shopping – furniture showrooms are my least favorite places to shop in. We almost never buy anything on our first look-through: we’re just seeing what’s out there, checking prices, testing out how they feel, etc., then we go home and think about it or go other places and look some more. I’m generally slow to make up my mind anyway, but I want big purchases to last for years and not have to go through this whole process again any time soon. As soon as you walk through a showroom, a salesperson greets you, which is fine, but they don’t seem to want to leave you alone even though you tell them you’re “just looking.” It’s good if you can find one easily when you have a question, but they can’t help you decide what you like and don’t like. It just takes time and looking around to decide that, and their constant questions and suggestions just make me want to leave, which is, I would think, not their goal. I’ve enjoyed more some little out-of-the way furniture places over the years, but the ones we went to when we first moved here have gone out of business. During a lot of the year, Jim has grass to mow or projects to work on Saturdays, so it has been fun to do some other things together. Altogether I think I have begun to appreciate January as a restful spot between other busy times. On the creative front, not much has been going on except that I have been sorting through, cleaning out, and shaping up my craft files. Seeing what I have there has been stirring my creative juices. I have not sewn clothes in a very long time – just curtains and pillows and such – but I saw a dress the style of which I loved in a catalog a few days ago. But the dress itself was around $135 – which is about 3-4 times more than I usually pay for dresses. I’ve been looking around to see if I can find a pattern similar to it. If I can find something I can adapt, I just may be spending some time with the sewing machine soon. Around the house, besides the usual tasks and the files mentioned above, I spent some time rearranging my books shelves, making a place for new books I want to keep, pulling a few books out to give away. I love looking at the neat and tidy (is that redundant?) results. There are a couple of boxes of books in two different closets I want to go through next, and then our other filing cabinets. I’ve been in a sorting and organizing mood lately, and I usually don’t have time (or inclination) to tackle a whole room at once, but these smaller spaces catch my eye and call to me occasionally. January was also a good month for reading, as I shared yesterday. Last year for the Back to the Classics challenge, I thought it would be good to get my biggest book (Middlemarch) out of the way first. But I felt like I was stuck on the one book for a very long time. This year I started off with some of the shorter classics, and I think I like that approach better. It feels like I’ve made good progress on my reading goals already. Trust: A Godly Woman’s Adornment by Lydia Brownback has been both a challenge and and encouragement. I’m about finished with Isaiah in my current trek through the Bible, and Trust has been been gently hitting some of the same lessons, that anything we’re trusting in other than God will fail us, and that He is the only perfectly reliable and trustworthy One. Not reliable in the sense that He’ll always do what we think best, but He will always do what He knows best, even if it means letting our false props fail us in order to draw our attention back to Himself. And I think that about wraps up January. 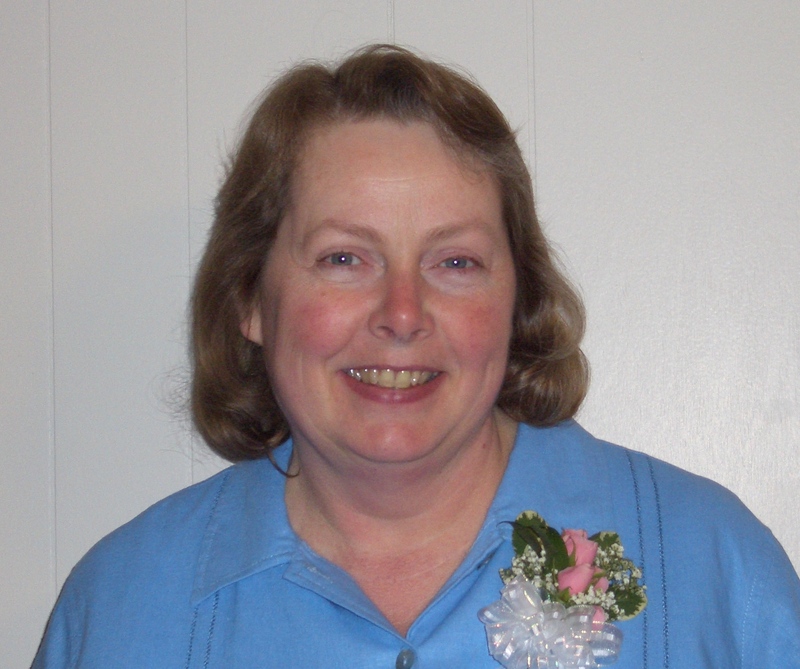 In February, we look forward to Valentine’s Day (which we make kind of a big deal of as a family), my daughter-in-law’s birthday, and the Laura Ingalls Wilder Reading Challenge! And maybe some new furniture! And one month closer to spring! Posted on January 2, 2018 by Barbara H.
Today is the first “back to the old routine” day in a while. I love all the holiday activities, and God was kind to grant me some pockets of quietness and rest amid the busyness. Getting out of the normal routine for several weeks was fun and refreshing. Getting back into it feels both good and sad at the same time. We had a wonderful Christmas with all the family home and then a very quiet but enjoyable New Year’s Eve and Day. I thought I’d show you the Christmas cards I made for the family. I buy boxes of them for extended family and friends – I’d never be able to make as many as I send out – but for our own family I like to make individual ones. It doesn’t show up in the photo, but the white words are flocked. If I had been thinking, I would have cut off the bottom pine cone so more of the word Noel showed up. Sometimes ideas come from others I’ve saved on Pinterest, sometimes from something in the Cricut design space, and sometimes they come as a result of looking over the materials I have. This one started out with the fox sticker, as Jeremy likes foxes, and then the other elements came one by one. This is one of my favorite cards I’ve ever made. I had wanted to use blue because he likes blue, and I had also wanted to use the snowflake embossing folder on one, so those came together here. I love that cozy sweater background paper, and they love coffee, so these seemed like a good pairing. The cups were done with the Cricut. This started with the word sticker – that just seemed to fit him. Everything on the white part is a sticker. I’ve rediscovered cheese and crackers as a snack. My mom used to always send Swiss Colony cheese and sausage packages for Christmas until the kids all got older and it got too expensive to send them. But usually one of us gets a Hickory Farms package at some point during the Christmas season. This year we opened it on Christmas Eve. Then I had mentioned earlier that somehow we got started having the Chicken in a Biskit and Easy Cheese during the holidays, so I have enjoyed munching on them all month. They may not be the healthiest snack, though – especially the Easy Cheese – so I probably need to find a better salty snack. One of the things I miss most about putting Christmas decorations away is the lights. But not enough to keep any up year-round. I’ve also enjoyed several weeks of Christmas music. I got a new Christmas CD this year, Worship the Newborn King from the Wilds Christian camp. I especially loved the Candlelight Carol. I’ve loved that for years but rarely hear it. Other long time favorites have been their Christmas With Friends album (although that doesn’t seem to be available any more) and Sacred Music Services’ King of Glory. I also like some of Pentatonix – not the more raucous stuff, but I especially like their versions of Silent Night, The First Noel, Carol of the Bells, Dance of the Sugar Plum Fairy, Mary Did You Know, and others in that vein. I shared the books I read this year (76!) as well as my top 12 books for the year. I don’t make resolutions per se, but I do like to make reading plans for the year and map out some projects I want to work on, so I hope to do that this week. I like to incorporate some purposefulness in my reading but with some flexibility in case I come across something new I want to read during the year. I hope to have my reading plans posted in the next day or two. Also this time of year you see a lot of people writing about words for the year. I’m not sure how that got started. A lot of people derive great blessing from it, and that’s great. Personally I have never felt led to do so. Usually God has more than one word to work on in my life at any given time. 🙂 But can I say, if you feel stressed about choosing a word for the year or guilty because you don’t have one, don’t worry about it. Seek God about it, and if you sense His leading toward one area of concentration, then go for it, but if not, just seek Him in His Word and seek His will every day. This is also a good time of year to find a good Bible reading plan if you haven’t already. I wrote on that extensively here. There are all kinds available. Probably the best plan is one you’ll actually use. Reading the Bible through in a year is a good thing for several reasons. A Christian radio station I listen to reads through the Bible throughout the year during daily 15 minute segments, not really too difficult for anyone. The last few years I have continued to read the complete Bible, but not in a year. I am not sure how long it takes me. I aim for a couple of chapters a day, but vary it according the the length, difficulty, or density of the passage I am in and whether I want to stop and slow down in certain passages. Posted on November 30, 2017 by Barbara H.
November is a transition month. We’re moving from a relatively quiet time on the schedule to the busier holiday season and from fall to winter, though technically winter doesn’t officially start for a few weeks yet. It’s been nice to have some quiet times and breathing space. Though our fall color came late and didn’t last very long this year, there are still vestiges of it left. I like not only the fall leaves still on the trees, but the bunches of them on the ground. I have trouble with the colorlessness of winter, so I treasure up whatever I can find of fall color until the first signs of spring. Activities: a lot of sorting and pulling things out to give away. Always a good thing. Health: still holding steady with afib issues – a few flutters here and there, sometimes an episode seeming to start, but then going away (Yay!) My second follow-up visit with the cardiologist was scheduled for earlier this month, but I had to reschedule it, and they didn’t have any new openings until January! Since I have been doing ok, I think that will be fine, and I’m sure if I have any trouble crop up, I can call them and probably get worked in. Reading: I just posted the books I’ve read the last month here. Thanksgiving! Always a lovely day with the family an lots of great food. Thanksgiving leftovers! Besides the turkey sandwiches and plates of reheated Thanksgiving fare, one thing we always look forward to is Turkey Bone Soup. Such good stuff. Christmas decorating! I’ll say more about that in tomorrow’s Friday’s Fave Five. Timothy was into it last year, but at 3 1/2 this year, he’s even more so. Such fun! Christmas shopping! Mostly online! Though I have a bit to look for in town. Music: a variety of things, but primarily Beyond All Praising by the BJU Singers and Orchestra. I also discovered a new-to-me group, Voces8. When someone linked to this song on Facebook, that sent me looking through YouTube for more of their music. On the creative front: Not much this month – the sorting and giving away took precedence over the one project I had hoped to get to. Oh – I did do some painting with Timothy. 🙂 And I did make this card for my friend Melanie‘s birthday. Decaf flavored teas. I haven’t tried them yet – I’ve never liked hot teas whenever I’ve tried them, but I’ve been wanting some variety in hot beverages with cold weather, and these are the required decaf. So maybe this time will be the charm. A new Mexican food restaurant. Little Free Libraries. I’ve seen other people mention them, but this post led me to a map to look for local ones. There are two not all that far from me. I’d love to start one! Why catalog companies think that they if they send me multiple catalogs a week, especially this time of year, I’ll buy more. I’ll look at one for a new season, but after that I just throw them away until the next season. I wonder how much this waste adds to the cost of the merchandise. I’ve had a couple of experiences with looking at things for purchase online, once putting an item in a cart and then deciding against it and removing it, and then getting an email from the online company about it. One said something like “We noticed you looking at this item. It’s still available!” When I contacted them and said I do not want these types of emails, I was told it was “all or nothing,” and to avoid receiving them, they’d had to remove me from their email list completely. The one where I removed something from a cart said something like, “We know what it’s like to be pulled away from the computer in the middle of something, so we kept this item in the cart for you!” My husband received one that said, “Caught you looking!” Who thought this was a good idea?! It’s really creepy. I know it’s probably computer-generated, and they have cookies to track what you look at anyway, but this is a step too far! Everyday Gifts. The daily manna was as much a gift and a miracle as the parting of the sea. Encouragement not to miss the daily blessings while watching for the “big” ones. Keeping Minimalism in Balance. Even good traits need balance. 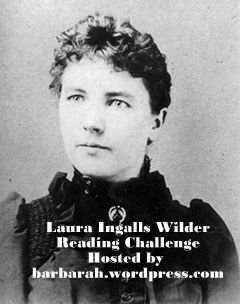 News about The Laura Ingalls Wilder Reading Challenge 2018 and a list of books by and about her besides the Little House series. As we turn the calendars from November to December tomorrow, the focus will turn more fully to Christmas preparations – Christmas cards and newsletters, finishing shopping and starting wrapping, activities and events. In the midst of this fun but busy season, may we all have make some moments of quiet reflection on Whose birth we celebrate and why. May His love flow into us and then through us to others. Posted on November 1, 2017 by Barbara H.
I’ve enjoyed reading end-of-the-month posts from a few blog friends for some time now. I’ve thought about joining in, but I already share the highlights of each week in the Friday’s Fave Fives, so I thought perhaps a monthly recap might be redundant. And then the last couple of months as I have considered it, I wasn’t able to do it before the actual end of the month, so I put it off. That’s the case again this month, but I thought I’d go ahead and give it a whirl and see what happens. I love October. Usually in October we have the peak of fall color. Even though it hasn’t been as vibrant this time as in previous years, I’m still soaking it up when I see it to store up against the grey, barren landscape of winter to come. The cool crisp air is also a relief from the intense heat of summer, and though we’ve had some actual cold days, they’re not as bad as they will be later on. In sad news, my mother’s oldest brother passed away a few days ago. He had Alzheimer’s and other health issues for years – in fact, during the recent flooding in TX, they couldn’t move him, and just dealt with squishy floors until it was all over. I had not had much contact with him over the years, so it wasn’t quite the emotional impact as when my aunt, my mom’s only sister, passed away a few months ago. But it’s still sad, especially now that I have only one uncle left of all my parents’ siblings. I’ve also been gathering together materials for a pillow I want to make – I actually wanted to have it done during October, but that didn’t work out. There’s still time in November, but it’s just for fun with no deadlines, so I am not stressing over it. October was a dramatic (and welcome!) contrast from September in that regard. Whether it was getting off one medication, or just reaching the point of healing from the surgery in August, or a direct answer to prayer, I went from having 2-12 hour episodes of afib several times a month to having them just seconds at a time a few times a day. I’d like for even those to go away, too, and they may, but if this is as good as it gets, it’s so much better. Thank you for praying for me! I mentioned earlier that my husband was asked to go to a different position in his job. He had been doing some work on this front but was asked to take it on full time. It’s interesting that two different people took on the responsibilities he used to have. 🙂 So far it has been a positive move for him. He said one advantage is that he’s usually done with work by the time he leaves the office, which was not the case before. He was even recognized by a member of upper management for something accomplished in his first week in the new job! I also mentioned we decided for several reasons to look for a new church home. That has been interesting but frustrating. It’s amazing that churches that have the same basic core beliefs can vary so much in other areas. A couple have been really good except for one area (different areas in each case). But we’re seeking and trusting God to lead us to where He wants us to be. What I’ve read this month, am reading now, and plan to read next. Living and Praying in the Light of God’s Name. Keeping Balanced in an Unbalanced World. When God Asks the Impossible. So, that was October! Overall a very pleasant month. I may experiment in the future with how to format this. I like how Lisa and Linda do it, especially Lisa’s video of a second a day, but some of what they include I post in other places. Monica uses a word-prompt format, which has its advantages. But I like pausing before turning the calendar page to think over the last month and mark what has gone on. It make the passing of time slow down for a moment or two.